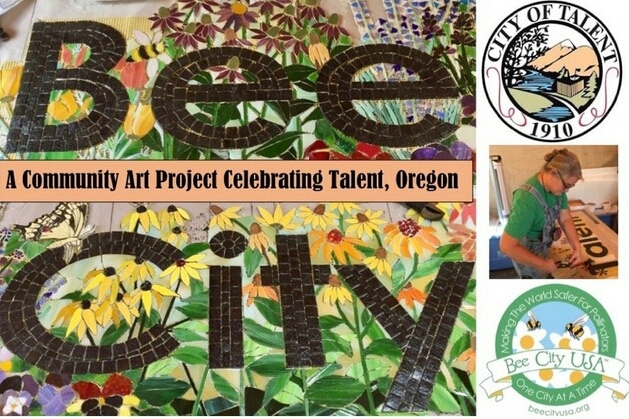 Bee City USA: Talent is Karen Rycheck's latest mosaic mural, with a twist. 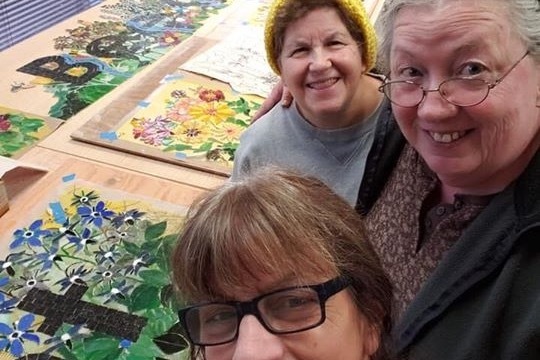 This one has been co-created by the Rogue Valley community in support of pollinators! 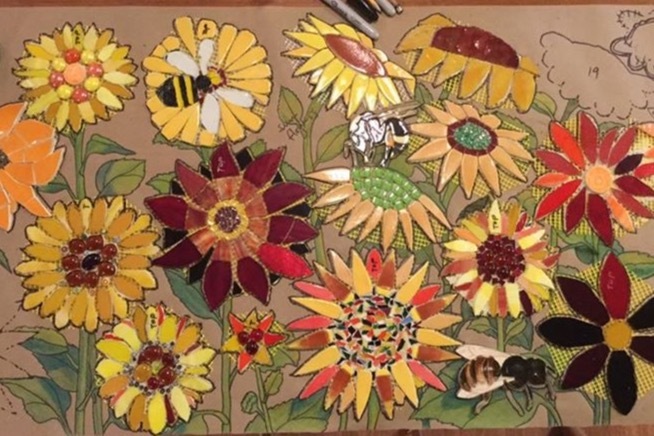 Community members created almost ALL of the blooms for the mosaic pollinator garden. 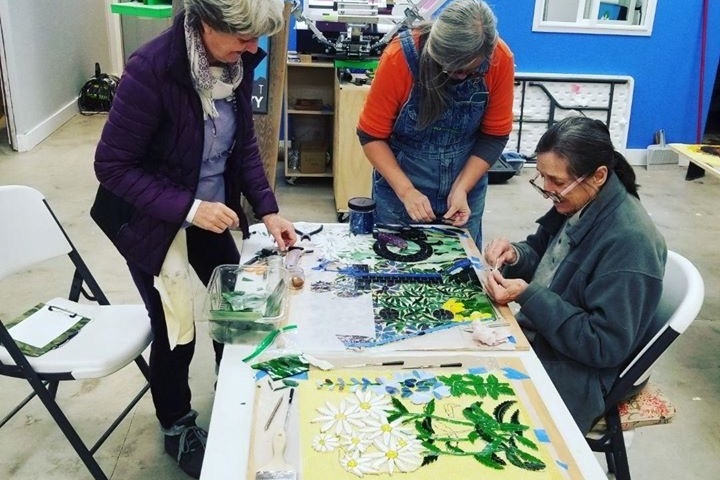 We are beginning stage two in January 2019, but still need financial help paying for permitting fees, Laticrete grouts and thinset, and more beautiful stained glass! Please give a little, or a lot! Any extras will go toward paying bills for the studio and additional materials during this process of creation. THANK YOU! Only 4 spaces available per session, so sign up now! and great news too: Laticrete has just offered to donate the thinset and epoxy grout for our project! Thanks guys, it's so great to see the support you offer for community mosaics. Starting Jan. 20th and running 5 days a week for at least a month! Hey all, I made my original goal thanks to generous donations by people just like you. Thank you! Now I am upping my goal to help pay for additional costs, as the time has passed for me to be able to install this year. I will be continuing to work on the mural after the new year, and will now install in Spring of 2019. Except for my original grant, all monies generated have gone back into the mural materials and studio costs. This has been a labor of love, and I love doing it. However, I still need to make rent and pay the bills! 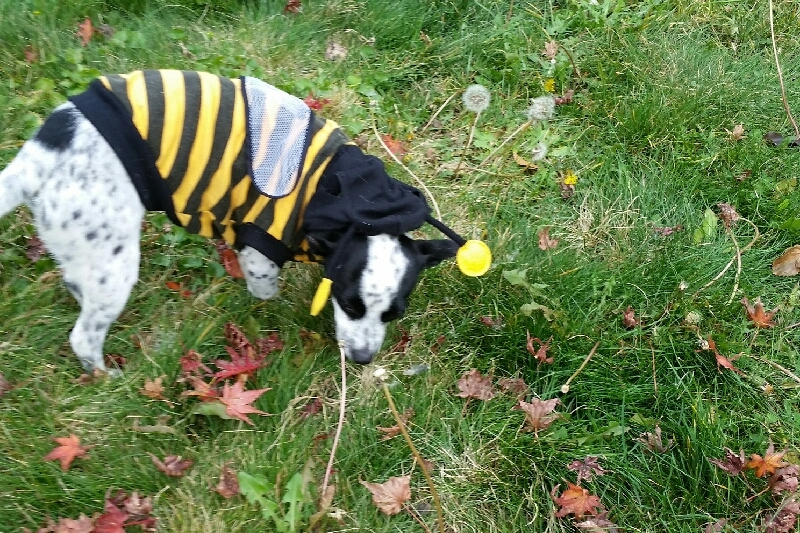 Please give generously to help achieve a beautiful work of art for Talent, and promote pollinator awareness.